Personal Blender With Bottle Just $25.95! Down From $70! PLUS FREE Shipping! You are here: Home / Great Deals / Amazon Deals / Personal Blender With Bottle Just $25.95! Down From $70! PLUS FREE Shipping! Here’s another great deal for you! 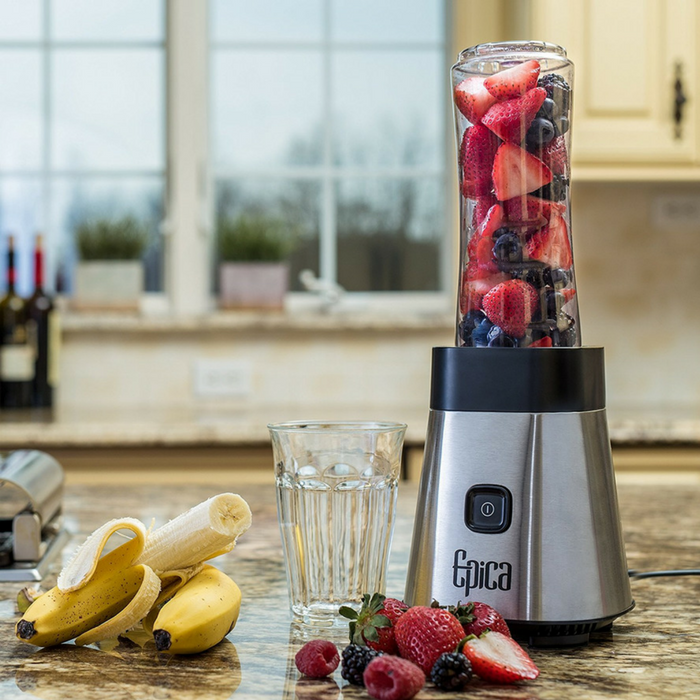 Amazon is offering this Personal Blender With Bottle for just $25.95 down from $69.95 PLUS FREE shipping! Whip up a quick treat, then take it with you without missing a beat! It’s all thanks to the blender jar/drinking bottle which you simply twist off the base when you’re ready to go. Take a smoothie to the gym, hot cereal to work, soup to soccer practice…the possibilities are endless! BLEND HEALTHY SMOOTHIES TO GO: No need to give in to temptation while you’re out on the road – simply mix up a delicious fruit or veggie smoothie or protein drink at home and take it with you. MAKES IT EASY TO STICK TO YOUR HEALTH AND DIET GOALS: The convenient 20 ounce to-go mug comes with a sealable lid so you don’t have to worry about your drink spilling in your bag or your car. BREAK RESISTANT BPA-FREE MIXER JAR: One-touch beverage blending. Lightweight bottle fits most car cup holders, resists cold and heat from -40° to 112°F. Easy care, completely dishwasher safe.